Good news: the best read-it-later service, Instapaper, is now giving away premium features for free, which means most of us have got a whole bunch of new goodies to play around with. Here are ten of Instapaper’s best features you might not know about. If you can’t remember an article name, but can remember a standout phrase, full-text search will help you find it again. Use the search bar at the top of the main article list to look for names, topics, publications, or anything else you need to dig out of a saved article. No articles in your Instapaper queue? No problem. Use the Browse tab on the web or mobile interfaces to get a selection of suggested articles, produced through a mix of the people you follow, Instapaper’s own algorithms, and timely content plucked from the web. 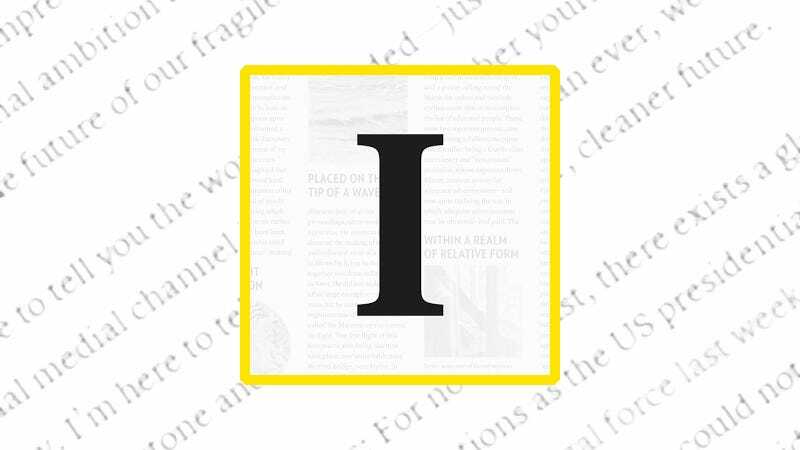 Notes can be added to Instapaper articles by highlighting a block of text and clicking on the note symbol that appears (on the right); head to Notes from the front page to find them again. Previously, free users could only add five notes a month, but not any more. Instapaper’s a pretty comprehensive solution for reading stuff later, but you might want to get your articles into physical form for whatever reason (like a week off the grid). To do this, choose Download from the menu to the top-right on the web then click Printable. Text-to-speech playlists is one of the best features on Instapaper for iOS and Android. You queue up the articles you want to have read out aloud to you, and then sit back and relax. Unless you’re driving, in which case keep your eyes on the road... but you get the idea. The Instapaper channel on IFTTT (If This Then That) lets you connect the read-it-later service to a ton of other apps. You can send your highlighted passages to Evernote, import links in your starred tweets, or even add articles to Pocket and Instapaper simultaneously. Speed reading was previously limited to 10 articles per month for non-paying Instapaper users, but now everyone can use it as much as they like. Click the speed reading button (a speedometer icon) at the top of any article and have it displayed one word at a time. Through the magic of Calibre you can send Instapaper articles to any e-reader you like. From the Fetch News panel, search for Instapaper, enter your Instapaper username and password, and you can set up automatic or manual syncs to a supported e-reader. Where better to catch up on all your reading than your Kindle? Instapaper-to-Kindle integration is pretty well done, and with access to premium features you can now send articles directly to your e-reader from your mobile device or the official bookmarklet. Kindle digests can be set up via your Instapaper account on the web, through the settings page. You can beam up to 50 articles automatically over to your Kindle on a regular schedule, based on certain criteria, saving you the trouble of transferring them manually.